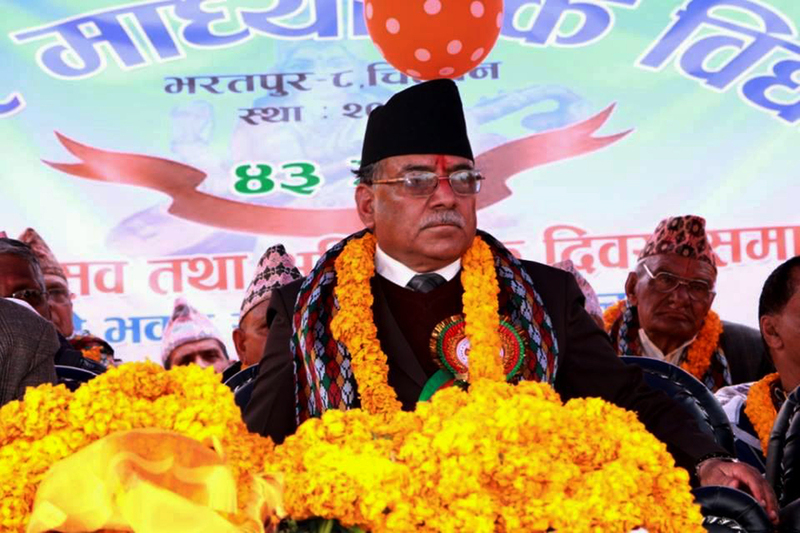 Party unity to be finalized tomorrow: Dahal - Integration Through Media ....! CHITWAN: CPN (MC) Chair Pushpa Kamal Dahal has said that the party’s unity with the CPN-UML will be finalized tomorrow. Talking to reporters here today, he expressed the confidence that the pertinent issue of division of positions in the new party would be finalised by Wednesday. He was speaking after attending the 43rd anniversary function of the Sharadpur Secondary School in Bharatpur metropolis-9. On the occasion, Chairman Dahal also said that he would become the Prime Minister in the near future and emphasized the need for collaboration among the three major political parties to take the nation ahead.